With the release of the Chanel 2014 Spring collection - Notes De Printemps there were two new nail polishes released: 605 Tapage and 603 Charivari. 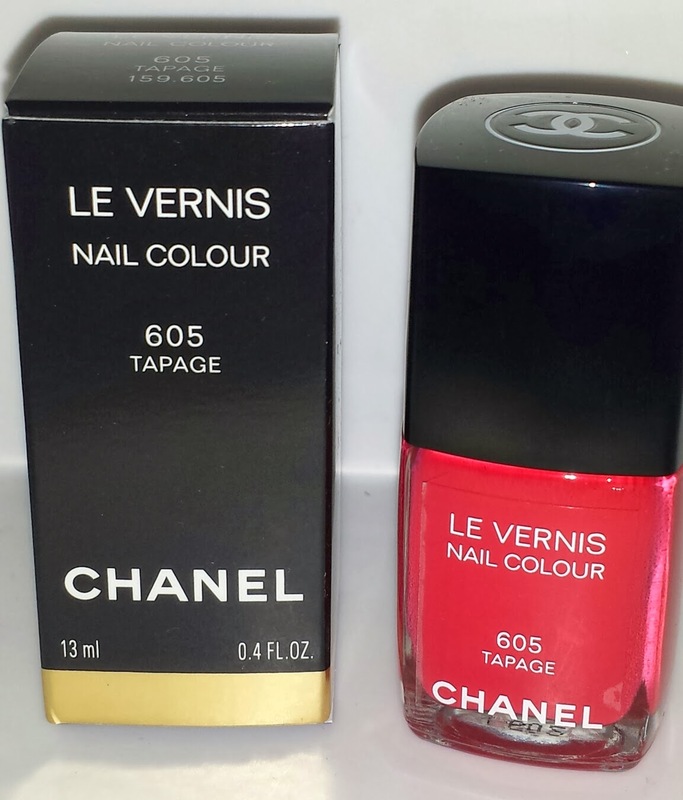 I purchased both of the polishes as they were just too pretty to pass up. They currently retail for $27.00 USD each and they contain .4 fl oz of product. Both polishes are available at all major department store counters and online as well. 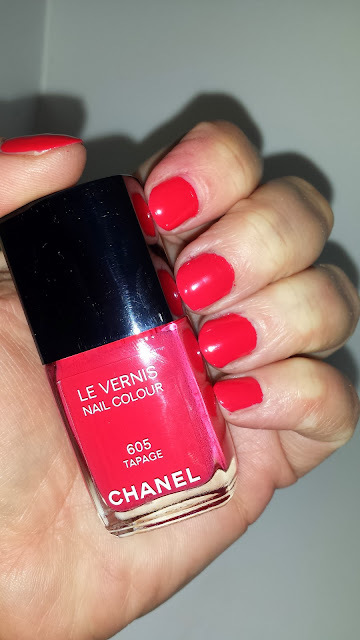 CHANEL 605 TAPAGE is described as a red / coral nail polish. 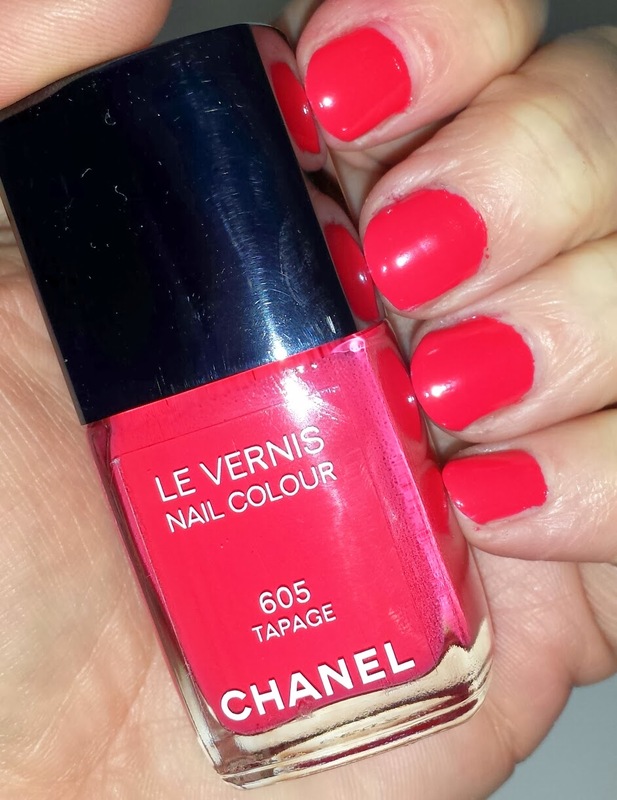 On me it seemed to be a beautiful creamy bright pink red polish. 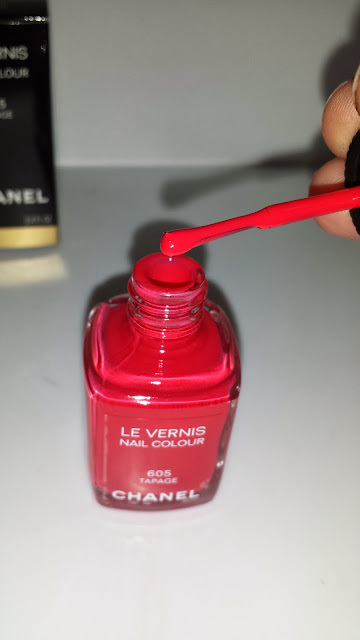 It applied easily and was opaque with two coats. The wear time was typical of other Chanel polishes which was five to six days with minimal chipping only at the tips.